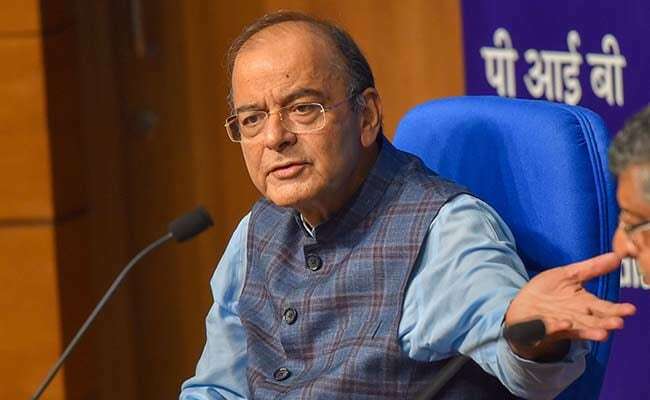 Finance Minister Arun Jaitley has accused the Congress of scaremongering by "spreading disinformation about the government's possible moves in relation to the private sector company IL&FS" that is struggling to pay its creditors. "It (Congress party) wants to sabotage India's economy by allowing a situation in relation to a company to persist, expand and become unmanageable. It lacks statesmanship and vision," Mr Jaitley said, responding to Congress president Rahul Gandhi's jibes at the Modi government that alluded to the government bailing out companies whose books are in the red. The government will take over the crisis-hit IL&FS as debt defaults by the infrastructure group have led to fears of contagion in the markets and a liquidity crisis. Arun Jaitley said several entities including Life Insurance Corporation have invested heavily in IL&FS over the years. "Do I start calling all these investments today 'a scam' as per 'the perverted Rahul Gandhi school of thinking?'" the finance minister wrote on Facebook. Then Mr Jaitley dropped a bombshell. "In fact, it is the section of the Congress leadership which has been urging me to enable investments in the IL&FS and save the company," he said. "A senior Congress leader, Prof. K.V. Thomas, who is a former Union Minister and has been the Chairman of the Public Accounts Committee, has written to me on 20th September, 2018 making such a request," Mr Jaitley said, and posted a copy of the letter on Facebook. "It demolishes every word that Rahul Gandhi and his coterie has been spreading," Mr Jaitley said. Matters escalated after the Congress president earlier in the day accused Prime Minister Narendra Modi of encouraging "crony capitalists", and used a report by the Reserve Bank of India that said public sector banks had written-off bad loans over seven times the recovery amount in the last four years. "For Crony capitalists: Notebandi-convert all your black money to white. Let's write off 3.16 lakh crore using common man's money," Mr Gandhi tweeted. In another post on Facebook minutes before the one in which he uploaded the letter by Congress leader KV Thomas, Mr Jaitley said write-offs do not lead to loan waiver. "Recovery of loans continues rigorously by banks. In fact the defaulting management of most Insolvent companies has been removed under the IBC (Insolvency and Bankruptcy Code)."